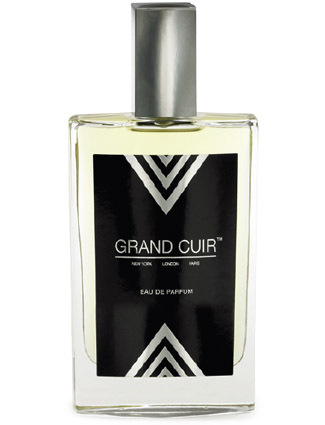 WHAT I SMELL: Grand Cuir opens with a citrus like orange blossom twist. It’s not what I was expecting as it’s not to heavy and there’s something rather salty, and tangy about the finish. I’m not quite sure what it is, but there is something here that reminds me of 1968 and going to the barber shop where the combination of sweat, oil and Brylcreem and dirt seemed to permeate the shop. Soon enough a slight soap makes an appearance along with this dryish birch and light petroleum note. After around 20 minutes or so, the florals come to surface and help to warm the fragrance, helping to even out the sharper tones of the opening. Then after a little more time, a bit of spice comes to play, but it peeks in an out rather than comes to the forefront. What I like about this fragrance is that Grand Cuir’s note are completely harmonic and therefore, none of the notes tends to dominate although you are always acutely aware that this is a leather fragrance. In the end, you’re left with a long-lasting fragrance that rides evenly and comfortably on your skin. There is something very nostalgic about Grand Cuir that I find appealing where it feels a bit forbidden, but at the same time by today’s standards comes off as rather innocent. 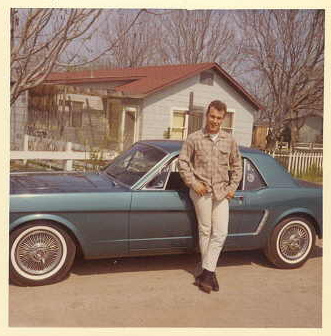 WHAT IT SMELLS LIKE TO ME: I keep going back to the 1960s. It’s manly without being brutish and it’s comfortable without being sloppy. BOTTOM LINE: As many of you know, leather is not one of my favorite notes. Grand Cuir is about as close to changing my mind that I have found. The leather isn’t hard, but instead is just slightly naughty…in a nostalgic way. I have noted that a couple of bloggers have named Grand Cuir on their “best of 2013” lists, including Kafkaesque and Eyeliner on a Cat, so I recommend that if you like leather fragrances (and even if you don’t), that you check Grand Cuir out! Disclosure: Product for review provided courtesy of Parfums Retro. Categories: Parfums Retro | Tags: 4 bones, EDP, fragrance, Grand Cuir, leather, parfum, Parfums Retro, Perfume, review | Permalink. I’m so glad you enjoyed this, even though you’re not really a leather guy. How impressive that it comes the closest to making you possibly change your mind about the note. I can see that. It’s very chic, and I love the mix (on my skin) of animalic and clean, crisp but warm. (BTW, thank you for the link love.) And welcome back from your time in Mexico. Most of all, happy 2014 to you and your hubby. I hope it’s a fantastic year for the both of you. I think it is great that this is a leather that nearly changed your mind. It is interesting that we were both swept back to the 1960’s with this one. I really enjoyed reading your take on this one. One of the best of 2013 in my book too! Lanier – there were all these memories that really came back to play with this. I don’t know if you had this chain of grocery stores down there, but my barber was next to the Red Owl grocery store and between the paneling, the tile floor and the dirt and hair tonics, this really took me back there. I love it when fragrances can do that. Please do…I wonder if you’ll get the nostalgic feel that others get from it. That settles it…. I must get my hands on this. The fetish demands it! Dont’ mess with your fetish’s Mr. Dandy…get some now. I can’t wait to get my sample. It sounds really fabulous! Great review, Houndy! There’s nothing really feminine here my dear, I hope you like it. Even though I wasn’t around in 60s as well, I liked this one. It was a pleasant surprise: a very strong debut.